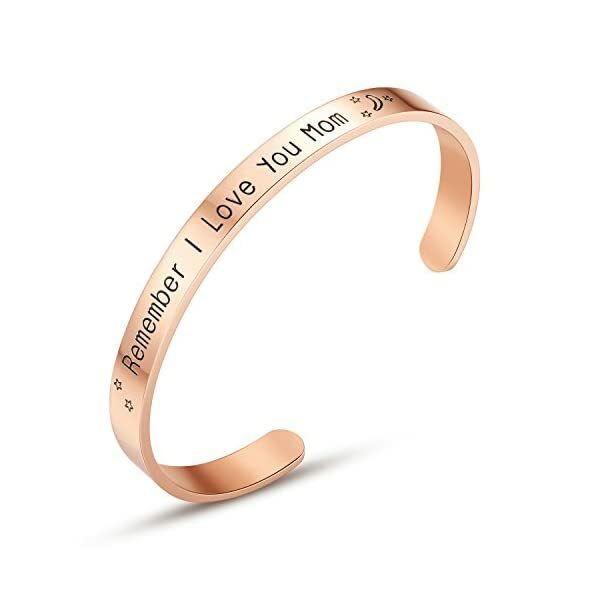 This mother daughter bracelet is stamped with ‘Remember I Love You Mom’ It is an excellent way to remind your love to mom & daughter. Inner diameter: 2.36 inches (60mm); width:0.27 inches(7mm); opening: 1.4 inches(35mm). 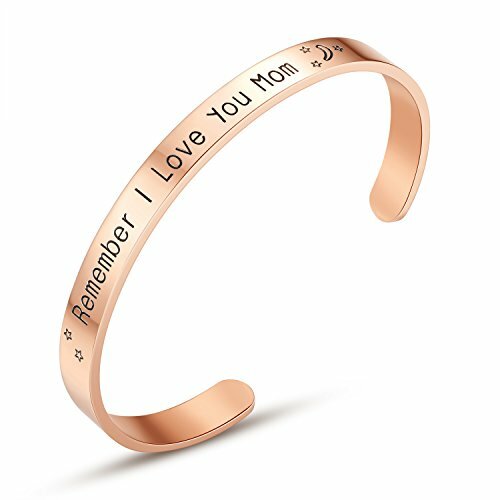 For mother’s day gifts this cuff bangle bracelets set enhance your feminine charm, No more large creases on your wrists from elastic bands.